Mary in Paris: What I Ate – Where Did Mary Go? Food. It is kind of my thing. Ok, completely my thing. Therefore, it only makes sense to tell you what I ate in Paris. Also, you should assume the components below were all accompanied by large amounts of wine or vodka mojitos. French macarons have nothing to do with those flaky toasted coconut things called macaroons we have in America. It is difficult to believe I tried my first French macaron only as recent as about a year ago at a French bakery in Seattle, called Le Rêve, after a co-worker informed me of what I was missing in life. Seeing and tasting those sugary, fluffy little pillows was love at first sight. Ever since, I’ve been on a mission to try macarons practically everywhere I go. 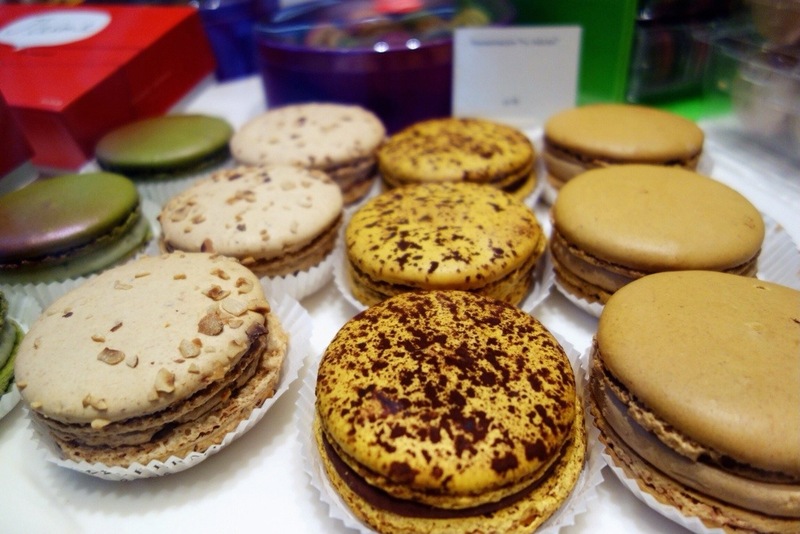 But true French macarons in Paris are taking it to a whole new level. 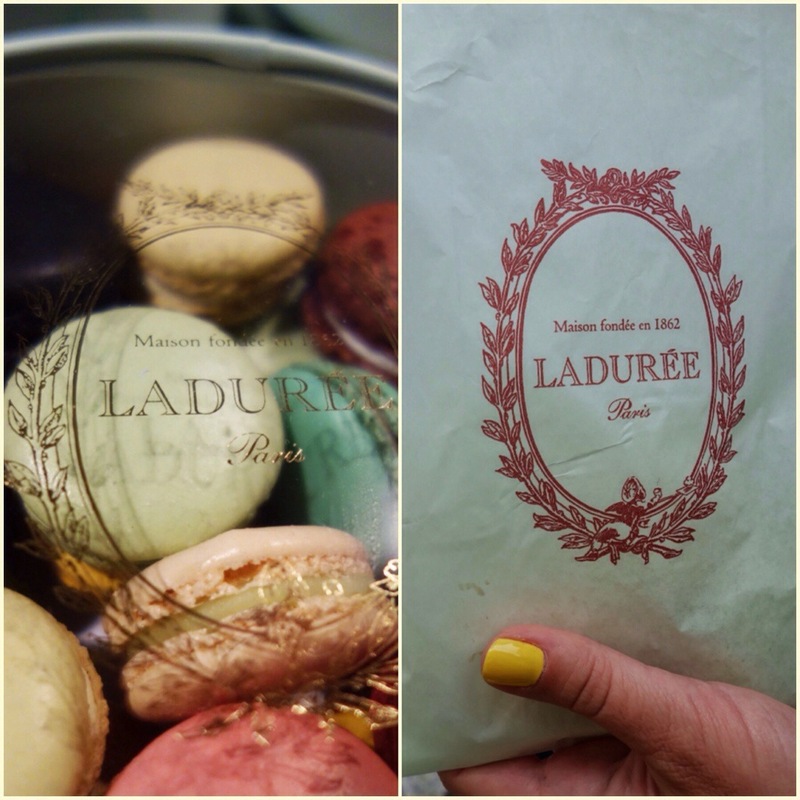 I did some research on the best macarons in Paris, and quickly noticed the same two places were always mentioned – Ladurée and Pierre Hermé. I made it my mission to find both, try their macarons, and decide for myself which is the best in Paris. I didn’t have to go far to find Ladurée because they have a large storefront and tea room on the Champs-Élysées just around the corner from the apartment we stayed in for the weekend. I waited in the long line of people, but before long it became my turn to place an order. The large dessert offering looked like delightful works of art, and I was tempted to stray from my plan of macarons only, but I snapped out of it and requested four macarons ((€1,90 each)): 2 pistachio ((always pistachio)), 1 salted caramel, and 1 lemon. They were incredibly flavorful, but a little on the soft side. I have come to prefer a just slightly harder, crispy outer macaron shell with a soft and creamy ganache filling. 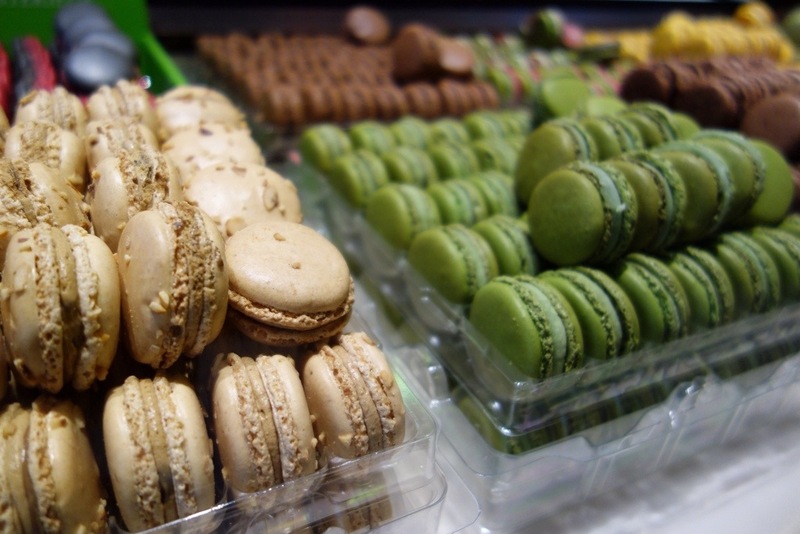 The flavors were undeniable, and overall the macarons were extremely nice. 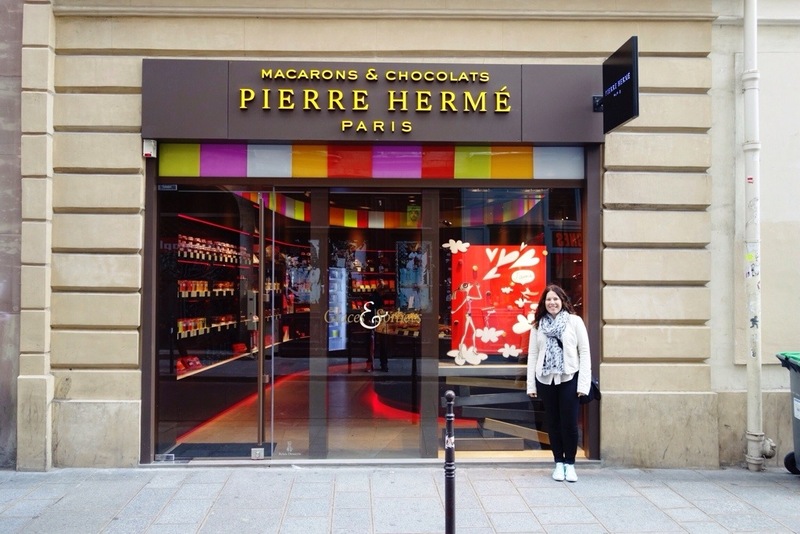 Later that same day, I found myself at Pierre Hermé. I wasn’t intending to perform my macaron test all on the same day for fear of sugar overload, but there is no way I could have walked by without going inside. It was a small boutique with lots of chocolates, teas, cakes, and other goodies for purchase. Once again, I somehow focused solely on the macarons. This time there was no line, and I had to decide quickly which flavors to select. No messing around, if this is the best, I shall go with SIX please ((€2,10 each)): 1 pistachio, 1 chocolate, 1 lemon, 1 caramel, 1 olive oil & vanilla, and 1 mysterious flavor. I am going to get straight to the point. Pierre Hermé macarons have got to be the best in Paris. So what if I only performed my research at two places. I am convinced after a small sample size and many other people writing and voicing the same sentiment – these were the best. I have no idea how the bakers/pâtissiers/creators, or whatever you call a person who makes macarons, pack so much flavor into such a small dessert. The olive oil and vanilla was my favorite of the bunch if I had to pick – because it was unexpectedly creamy and subtle. Each of the flavors were incredibly delectable though. 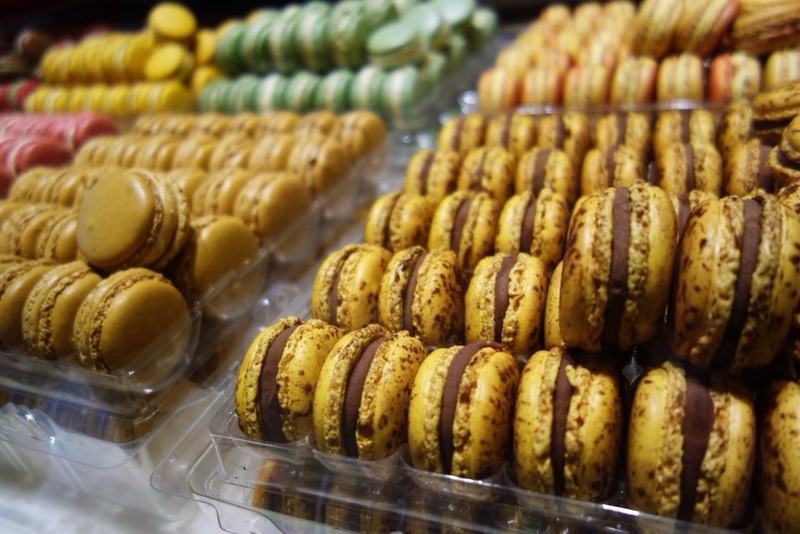 Pierre Hermé gets it right on the macaron front on every level, and tucking into macarons from one of his ten locations within Paris is a must. 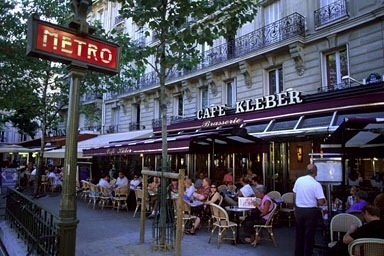 My first meal in Paris was at Café Kléber near the Jardin du Trocadero. I wasn’t overly hungry for a big meal, and when I noticed Soupe a l’onion on the menu, I knew that would be my selection. Delightfully salty, full of soft onions and topped with soggy bread below an inch-thick layer of cheese, my first official onion soup in France was incredible. 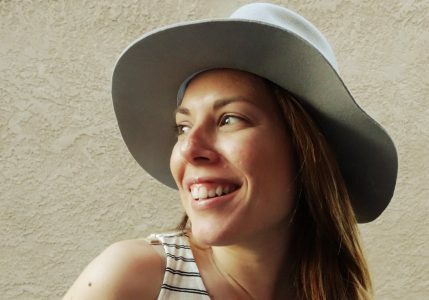 You didn’t expect me to visit Paris without eating my weight in crepes, did you? I am not sure if Parisians eat crepes, or if it just us tourists, but I enjoy them very much. Why bother with any other flavor that smooth, chocolatey Nutella accompanied by perfectly ripe sliced bananas? Ahhh, bliss. I am going to be honest here. 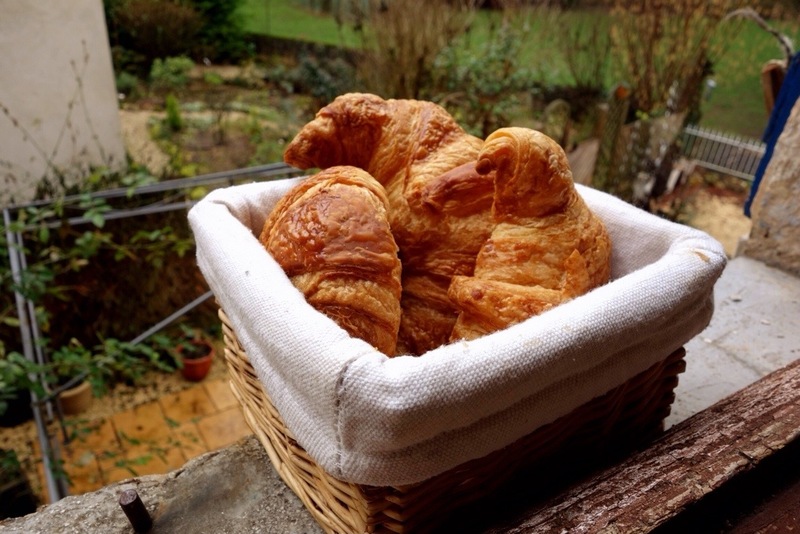 You have not had true croissants and fresh baguette until you’ve had them in France. All other versions are simply not worthy. I can no longer think of bread the same way. During my visit to Salviac in southern France in January, we would walk to one of the two bakeries in the village and order our morning croissants and baguette for the day. And soon devour them. French bread is so simple and so fresh. The baguettes and croissants are a crispy golden brown on the outside, and fluffy on the inside. Nothing is pre-sliced. There are no preservatives; they are baked that day and meant to be sold and consumed the same day. No simpler and greater lunch in France is complete without a baguette and also it would make sense to include some butter and cheese. I cannot help but be disappointed in most bread ever since my two visits to France this year. I am just underwhelmed by the processed pre-sliced junk here in the US ((with the exception of legit bakeries like Camino Bakery in Winston-Salem who do make a mean loaf of crusty bread)). Take me back to France! 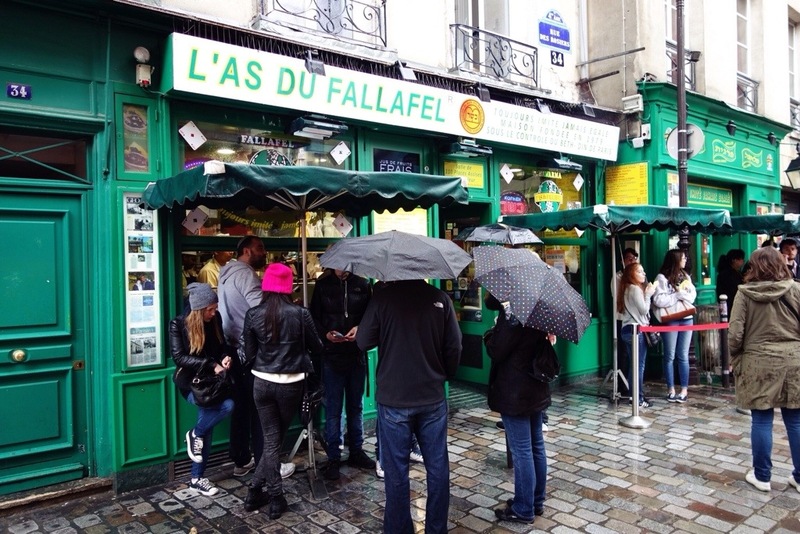 At some point over the past year, I read a few blogs about Paris and L’Aus du Fallafel and how spectacular it is. I had no choice but to add it to my Paris list, and track down the little establishment in Le Marais and try it for myself. My father-in-law went ahead while Andrew took some photos, and he soon came back to inform me that my falafel place was closed. Oh the disappointment. Andrew suggested we go down Rue de Rosiers anyway, to have a look and maybe take a few photos. I had seen images of the official L’Aus online and knew what to look for. We passed by the falafel restaurant that was closed Mondays, bragging on it’s outside facade that it was the best falafel in the world. HA! That’s not the place I’m looking for, I exclaimed. Guess what? The real house of falafel was open with a line of customers waiting to place their orders. Most of them were Americans. I guess we love our fallafel? I stood in a downpour and placed my order of one classic falafel pita and paid the €6 with the order-taker and waited at the window for my perfect little creation to be passed over the counter and into my arms. No big deal. It was only the best falafel of my entire life. Perfectly crispy outside, and not in an overly fried way, with a soft inside. 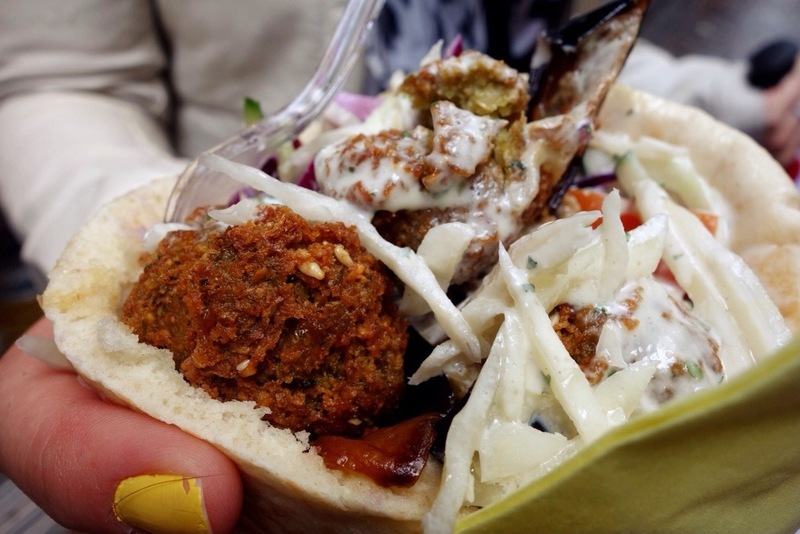 The flavor of the other fillings like fresh cucumber, cabbage, eggplant and hummus or tahini sauce ((can’t recall which it was)) complemented the falafel perfectly, all folded into a beautiful pita. I can’t stop thinking about that little meal full of love, and without a doubt I could eat at L’Aus du Fallafel several times a week. Again, I demand, take me back to Paris! As usual, I ate my way through the weekend. And yet there is so much more to taste in Paris. One of the countless reasons to return! 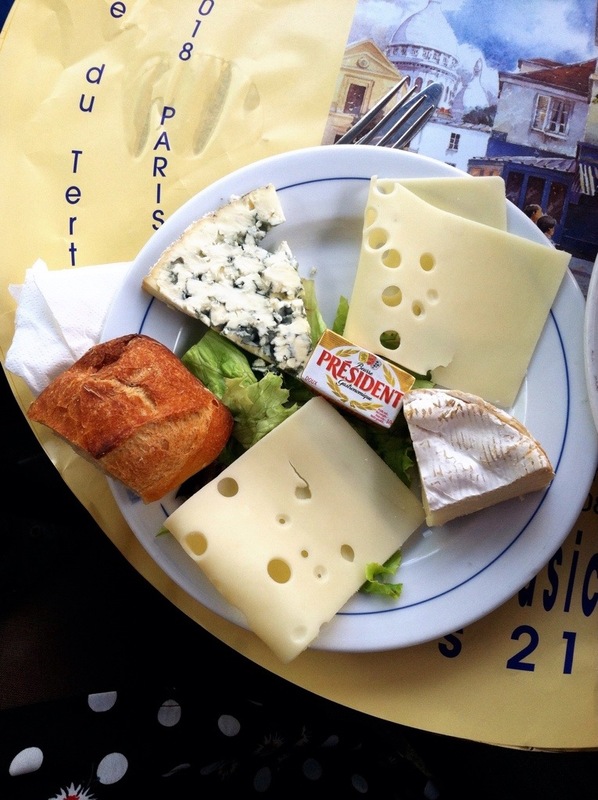 What is your favorite thing to eat in Paris? Everything looks delightful! Trip to Paris is on of the bucket list! It certainly was delightful, every single morsel. I intend to return someday, hopefully more than once. Paris is as fantastic as you’d imagine it.